Wood flooring is a traditional product that is currently making a resurgence into many modern homes, but why? Traditionally flooring was used in homes as it was one of few raw materials that was easy to construct into shape with the materials that carpenters had available. Recently large amounts of time and money have been invested into manufacturing techniques that have allowed new products to be created and has made existing products more accessible at lower prices. However installing wood flooring can still be a large investment and therefore it is important to understand the advantages of wood flooring. The biggest advantage of real wood flooring is that it looks fantastic! Wood is a natural product which allows vast amounts of character the be displayed in your house. It is a great option if your home does not view much nature as wood flooring allows the great outdoors to be brought indoors. Wood flooring can also add value to your house if you are looking to renovate and sell the property. 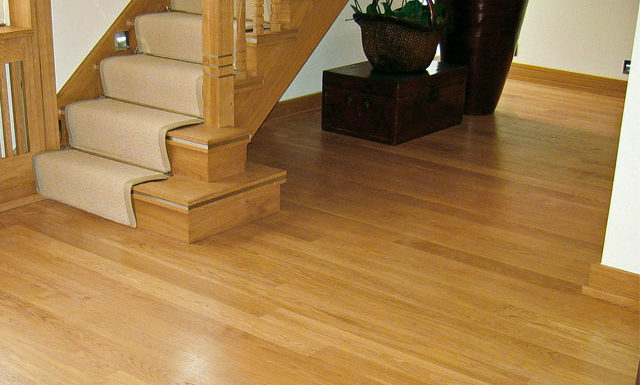 There are two types of flooring, which are solid wood flooring and engineered wood flooring. As solid wood flooring is constructed entirely from real wood it is more expensive to purchase than engineered wood flooring which is partly constructed using plywood or HDF. Therefore solid wood flooring adds more value to your home, however it is not always recommended if your home fluctuates in temperature or has high levels of moisture. The multi layered construction allows engineered wood flooring to naturally expand and contract when the climate fluctuates, whereas solid wood flooring will end up bowing and buckling. In recent years this has increased the popularity of engineered wood flooring as it is cheaper, more stable and due to the top layer being made a lamella of solid wood, it is difficult to tell the difference between engineered and solid once the products have been installed. Traditionally only laminate or vinyl flooring are installed in kitchens, however flooring experts have now started to see that engineered wood flooring has become very popular in kitchens. If wood flooring is ever stained, damaged or starts to look old, then you have the ability to sand the top layer of the floor and refinish the floor. During this refinishing process you are able to replicate the previous finish, however if you are bored of your old floor and wanting a change then you can refinish your floor using a completely different finish. For example you could of have an invisible oiled floor, however now you want a dark stain and lacquer. 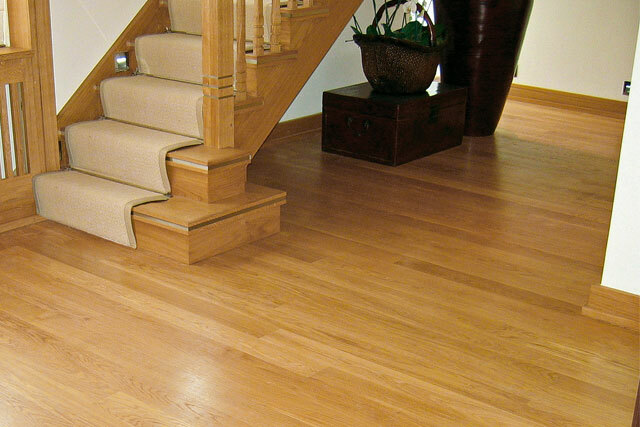 When sanding the floor, an experienced DIYer should expect to sand away around 0.5mm of the surface layer. Most flooring products are able to be sanded on average around 6 times and only require sanding every 10-15 years depending on the amount of foot traffic the board receives. Therefore most wood flooring boards should last at least 50-60 years. Even though wood flooring may be seen as a large investment, when you divide the total order cost by the longevity of the product, it soon becomes apparent that wood flooring works out relatively cheap.